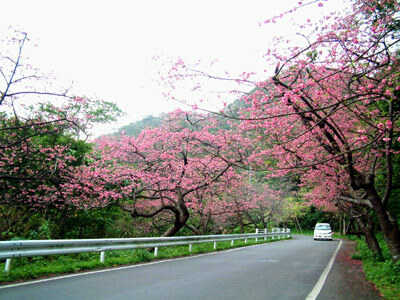 Okinawa cherry blossom season gets its official start this Saturday with the opening of Mt Yaedake Cherry Blossom Festival in Motobu, the first such event in Japan. 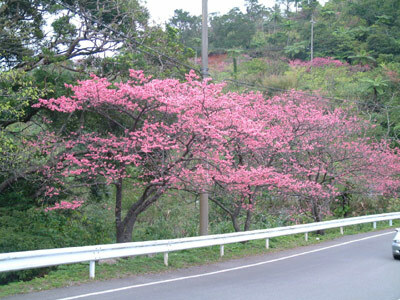 The Yaedake season officially lasts until Feb 12. The festival program features live concerts and cultural shows on its opening days of Saturday and Sunday, and, of course, food , drink and game booths. Admission to the festival grounds is free. To get to Mt. 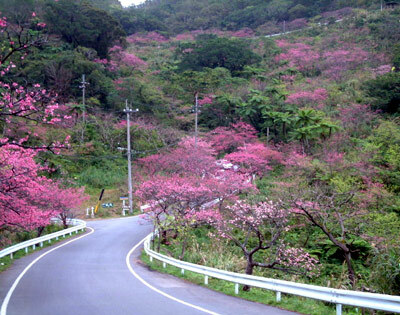 Yaedake, go to Nago, then follow signs to Ocean Expo Park, until just before Motobu, turn left to Mt. Yaedake. You can drive all the way to the top of the hill where there is a camping ground.